As you may have noticed, there have been some updates to different areas of your account. 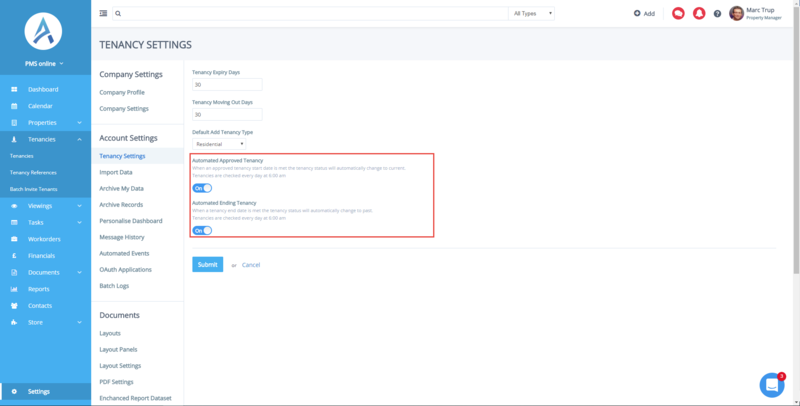 The settings area has been re-designed with a new layout. The settings options have been arranged on the left-hand side column, allowing for quicker selection. 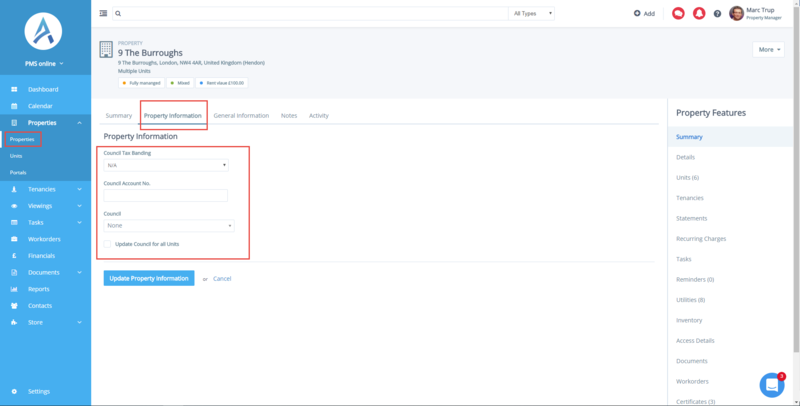 You will also be able to instantly edit your company profile from the main settings page. 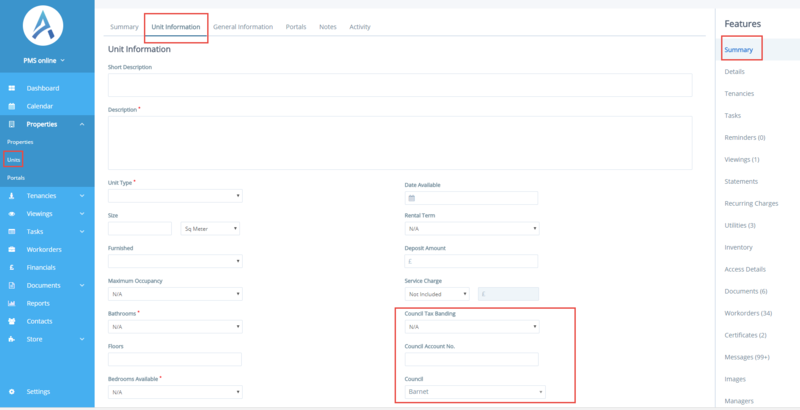 The dashboard in Financials has been updated with the addition of two new icons at the top to give you easy access to your Xero/QuickBooks account. 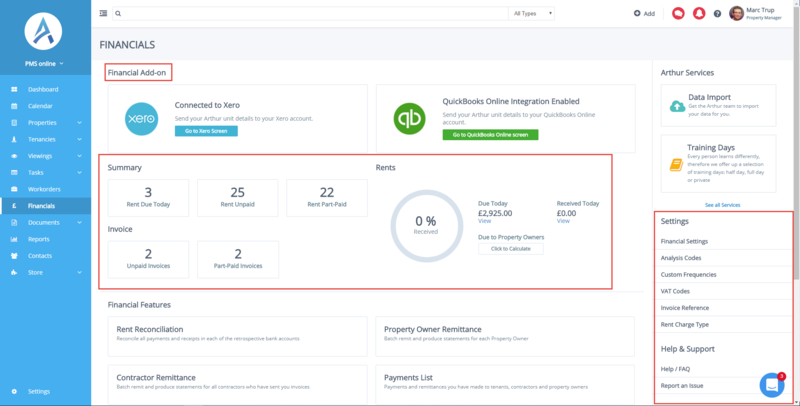 The new dashboard layout has been renovated to allow you to clearly see what rents are due and any invoices that remain outstanding, allowing you to keep on top of all your financials. It is now possible to automate the transition from prospective to approved tenant. Similarly, when a tenancy end date is met the tenancy status will automatically change to past. To turn on this setting, go into Tenancy Settings under ‘More’ at the top right of the Tenancies page. The area where you enter Council details has also changed. You can input this data by going into Unit Information for each of your units. Alternatively, if you go into your properties, under Property Information there is a section where you can update this. You can now upload photos of your property and/or any floor plans which might need to be shared. To do so, go into the chosen property. At the bottom of the page you can drag photos from your computer’s drive onto the Images section. In the next few weeks the drag and drop function will be rolled out across other areas of the system. You will be able to drag and drop documents from your drive directly into the Property/Unit/Tenancy’s documents section.